Whether soil or hydroponics, indoors or out, greenhouse or warehouse, I am here to assist you in grow room setup like a pro using my many years of experience in Grow Room Design & Construction. We offer tons of FREE information on growing medical marijuana, hoping that someday the streets and marijuana dispensaries will be filled with only the best quality buds – bug, pest and mold free. There are a few things to remember when setting up a Grow Room, like knowing how many grow lights, how much electricity and how many plants you can grow in the size room you have. Other things like overhead costs (chemicals, electricity, water, supplies etc etc..) also need to be taken into consideration. Safety and Security is something else to take into consideration. If you have a disability and are in need of a handicap accessible grow room, we are here to help. Prior to setting up a grow room you need to be able to make a blueprint and figure out everything that is needed to be successful. If you are growing in a residential area, try to find a home with a basement as the temperature stays perfect all year. Also make sure you understand how much electricity you have to run your room on, avoiding fires and disaster. Make sure there is proper plumbing or make sure to use an mmj friendly plumber to set up your plumbing system so you don’t have to worry about hauling water up and down stairs. When using a warehouse, assuming it is legal, your main concern is safety and security from thieves and pests, as electricity and plumbing are not an issue. The Weed Scene is the ONLY place on the web that offers all of the info needed for FREE! Choose your location and calculate the materials and costs suing your square footage and make a blueprint. Make sure the room is clear of anything that you will not use. (furniture, curtains, carpet, junk etc). Enclose the room if its not already. Using a reflective material like Mylar or flat white paint, cover the walls for the maximum light energy. Set up vent fans, intake fans and exhaust fans including carbon filters for controlling odors. Install plumbing and electricity if its not already there. I prefer to run a separate 100 amp sub panel and use utility sinks. Remove all carpet. Having a concrete floor is best for water issues. Installing a floor drain will make life easy! Install hardware for lights, light movers and ballasts. Use hooks and anchors strong enough to hold the weight of these items. Then install lights and ballasts. Whether Hydroponics or Soil, set up the hydro systems or soil pots making sure to leave enough room for you to move around and work in there. Short Video on Setting up a Medical Marijuana Grow Room in a basement of a residential home. My team and I are located in Canada and are currently going through the process for legal commercial cannabis cultivation (ACMPR). We are seeking your expert advice on a 10,000 sq foot facility for the design of the veg,clone, flower, and drying room. I am in the militairy at the present moment and have been researching a lot about having a grow room and am looking for a partner to do so I have enought money to start the growing room and for rent, I would just need somebody experiance who is dedicated into this project as much as I am. I’d like to start with a small 5 light indoor growing and would branch out into outdoor growing. If anyone is interest my number is 912 271 4704 let’s talk further more over txt or call. How many plants can I grow in a 9 foot long X 5 foot wide locked up basement back room? we are canadians and are applying for a license to grow medical marijuana with setup anticipated for mid summer.would be interested in your ideas and a quote if possible for a 4000 square foot facility. security issues will be handled separately. First I would like to thank you for offering help with no charge. My inquiry is as follows. I am interested in setting up a growing operation in a wearhouse setting. It will include the vegetative room, cloning room, and flowering room, a drying room and a packaging room. The whole operation will be legal. I am planing to generate a minimum of 10 lbs of dried herb per month. Now the big question. First how big of a wearhouse should I consider in feet squared? Second how big should the vegetative, cloning, and flowering rooms be? I am a considering a high tech set up [best lights, ventilation, CO2/humidity control, growing in pots with a fully automated watering/vertilizing system with a high tech security set up (cameras indoor and outdoor)] then what kind of cost am I looking at to get everything set up? Also how much would it cost in approximate terms to run the facility per month; considering average electrical costs (no generators), water costs, growing medium, and vertilizing solutions. If its not too much could you also inform me how many plants at any one time would have to be in the vegetative room (i.e. the growing clones), how many mother plants, and how many in the flowering room to have that kind of output per month. I am will be extremely thankful for you input in this matter. Thanks and I look forward to your reply. use all hps. 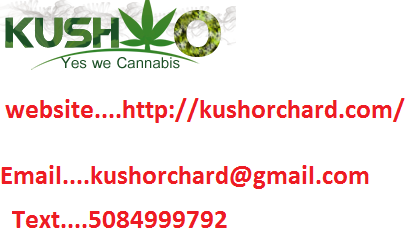 this link takes u to the grow store page. look for the “hortilux Super Hps” bulbs. they are tip-top quality!! ive never used it nor do i know anyone that has. ive never had a need for it. plants can reach maximum growth with basic nutes. sometimes giving them too many nutes will shock them in a negative way. Santi, did you get the Generator up and running for your 11 hours you asked about? Let us know the details of how it worked out. And was the 11 hours of Generator use just to not show usage “ON THE GRID”? There are some UTube videos on Connecting a backup generator to your Breaker Panel. Essentially, you have an electrician wire in a Dryer outlet to your Breaker Panel. You then make up a cable to go from your Generator and plug it into your Dryer outlet. Before you make the connection, you need to shut off the Incoming Main 220v Breaker Switch on your Meter/breaker panel to Isolate your power you are feeding to your panel from the Utility Grid. This is how the Utube Video describes for a Act of Nature when your power goes out. If you are doing your Grow/Flower in a seperate room or shed and are going to just run your generator for 11 hours a day off the grid, then you need to consult someone you trust and know who can help you figure out the Power Connection situation. Grow Room I set up. I will talk more about this and using Generators, Solar and LED lights later. cheers mate i put them to flower+got only 2females. This was my 1st grow,i only got 26g dried..was good smoke but only practising til my nl#5 arrive..! Just ordered them n lookn forward to gaining more experience+getn better at growing this great plant! Cheers for advice dizzle..! Well, not sure where you got the idea for 11 hours of growing. I think you Only want to run the generator 11 hours and use Grid Power the rest of the time during Non Peak hours at night? Close? Are you a good distance from any neighbor and using a good very quiet Muffler on your generator? Where are you running the Exhaust out to? You want to Flower 12 hours on, and 12 off. If your generator is at least 4000w or above and produces 220v as well as 120v AC it should be okey for that small space. It also would be nice to know if you are just using low wattage grow lights and if you are ready to flower with an HPS light or another light. You will need AC for Grow Light, Fan, fresh air intake and exhaust, Resevior Air Pump, and water pump. Look at all of them and add up the Amps and Power Usage. Then look at your generator specs and see if it can handle the load. It’s hard to say with little information you provided. I am just finishing up my ventillation set up in the VEG and Flower inside room. I now have fresh air being brought in with one fan to both the veg and the flower room. There is a filter on the outside duct coming in. In the flower room I have the Can Filter set up with a can fan on top of it. It will filter the air in flower room and exhaust the air through my two 400w HPS light fixtures in the flower room. I will be using two 400 MH lights for the first month as I am going to use the veg room to finish vegging twelve GDP and three BK plants. Then after the first month I will switch out the bulbs for two 400 w HPS. But my question dizzle is, can I just VEG them for 18 hours with the 400w HPS? This is a little late to comment on the way to germinate seeds, but here goes. Before I found this site I was flopping around like a goldfish in a puddle of water on the floor. I tried to Germinate thirty GDP seeds in a very well known Cloner machine, which the manufacturer guaranteed it would germinate seeds in the plugs put in the fifty site cloning machine. well needless to say none of them germinated and I wasted thirty seeds. The cloner spraying on the plugs kept the seeds too wet for too long. After I found this site and listened to Dizzle I now have it down correct. Clone from your mother plant or the plants being Vegged, and put them in the cloner like Dizzle said! I did not return my cloning machine. I modified it to the Specs that Dizzle stated in making his. I found I could use a hole saw and make the round holes a bit larger to accommodate the Net pot baskets. My clones start popping roots in about 7 days and in ten to twelve days they have a ton of roots and I transplant them either into the small cubes for those with small amount of roots, and then hand “top” water them till they are popping roots from the small cube, then I transfer them to the larger rockwool cube or directly into my Ebb and Flow buckets with Net Pot Baskets. For those with tons of roots, I put them into the 4″ rock wool cubes that have been pre soaked and ph balanced. As Dizzle said to do, I keep the plastic wrapper around the 4″ cube for another week to two weeks until they start popping out the bottom and the sides. I then do like he said and then put them into the veg room into my Ebb and flow buckets with net pot baskets without the plastic. This is producing remarkable success just the way he said to do it. I wasted a lot of primo seeds and clones by not following the advise of Dizzle. Just wish I have found his site before I lost so much stuff. I also have an Aquaponic Vegetable garden. I have five Koi and thirty five gold fish in a 250 gallon Jacuzzi, I have large “Bio Balls” in the tank and two filters and the water keeps real clean. The PH of the water for fish should be about 6.5 or so. The natural bacteria in my Jacuzzi Pond converts the Amonia Fish waste to NITRITES, and another bacteria takes over and converts the NITRITES to NITRATES which is what the vegetable plants use for fertilizer. My water is cyrstal clear and the birds love it and drink from it all day long. I have experimented a couple times “Nursing” puny seedlings to better health in the Grow bed on top of my fish tank. They start to really pick up and grow very fast in the grow bed.The latest two I put in there looked like they were little runts and almost dead. After four days they have new lush green leaves out the top and have grown over two inches taller in four days. I most likely will leave these two in there to see what they do in the outside Aquaponic Grow Tray. They are both GDP clones. ive never used pond water, not sure the quality of your pond water so i have no idea. sorry! also any harm in useing pond water for feeding. I would like to suggest to everyone to consider a back up Battery System for essentials like running DC powered water pump in case the power goes out, or your regular AC powered water pump fails. Awhile ago I went away for the weekend and left a cousin to watch my plants in the veg room. I had been up the night before I left on my trip to about 2am in the morning in the veg room. I had unplugged the brain controller and forgot to plug it back in. My cousin did not realize the watering system was not working. I cam back on monday and almost died when I saw all the plants drooped over. Most of them came back but I lost six of them. I have found out that our plants can do without lights and ventilation a bit longer if necessary. But they cannot do without watering for very long if growing in non-soil medium like hydrotron or gravel. I got the idea of a DC powered water pump system from a fellow who is big into Aquaponics in Australia. He uses an economic Marine DC powered bilge pump. It is hooked up to a bank of Deep Cycle Batteries though a switching device. The battery power goes into a small electrical switching device purchased from an electrical supply house. It is plugged into the regular AC outlet. If the power goes off the device switches the power to the DC batteries which now power the Auxillary Bilge pump and the plants keep on getting their water until the power comes back on. I saw your response to someone else but thought it was for me, so the same night I saw your response, “Start Flowering Now” I put them into flower the same night I cut the clones from them. I went out the next day and they ALL were drooping over and looked terrible. I thought I had lost the entire lot of them. I waited and observed them for the next week. By about the third day they all started to perk up and began to look good, except one. It eventually came back and looks great also now. They are all showing signs of getting ready to flower after two weeks outside.These are the group that I got to 30′ in veg before putting outside to flower. I have to shorten the legs of my table in the veg room a bit, as they all were getting very close to the lights and no room to move the lights up. I am disabled and cannot get up and down from the floor, and thats why I put my twelve Ebb and Flow buckets, controller on the table. Thanks for all the advice. This will be my first real harvest since we are doing it on our own. Hey , question 3 for you if you dont mind , were im planting is great soil drains nice, worms crawling around and very rich looking since useing that sure helps me with haveing to lug to much weight to far I was wondering what would be the best and easy additive to throw in. u can cut them prior to flowering. i always do, but i let them stay in veg for 5 days or so after i cut them before i move them to flower. or else they will go into shock. not sure about the holes. they should fit. Ok, I will start them to flower tomorrow. However, will it hurt them if I take a big clone off the top of each plant before I put them out to flower?I will go to the hydro store early and get some little rock wool cubes and rock wool formula a and b as you said on the video. Do you know if the small net pot baskets will fit in my EZ cloner holes, or do I need to use the hole saw to make them bigger? I am working long hours so I don’t have time right now to build one like yours before tomorrow. I did switch to the 400w HPS bulb and the buds were as you said much smaller. The nine plants only produced 1/4lb, but they were nice and sweet. I made some brownies and cookies out of them and rest goes into the pot for my phoenixtears Hemp Oil to treat my Cancer. iv had two plants in garden for last 3/4weeks;I stay in glasgow,uk-average temp has bn 48¤f during day+frosty in morning ! Ithought they’d died,but tho still v-small ;theyre starting to grow again ! I feed them combination of miracle-gro’+and slow release tablet nutes’.very minimum care too,just gony let nature do its job;(its A weed-after all’! )+ tuff as nails! Frost won’t ALWAYS kill weed…! keep it up, u r on the right track!! I had grew my clones in my bedroom and set the timer for the light for 20 hrs/day. I also had one teen start to flower before I put it into my flower room. I looked real close and saw a hole in my shade and as the sun tracked over the light from the sun came in the crack in the shade and I figured that is what made that one plant start to flower in my bedroom. I put them into the veg room that week and it stopped flowering and grew. This was one I put outside when it was about two feet tall and it produced a good harvest. The Clone light and the veg light I under stand has certain color spectrum and they will not flower. However from what Dizzle said, the HPS lights for flowering has the right spectrum of light to make them flower. So, I am now more care full not to let any light from the window hit my clones. I built a three sided reflective cabinet around my clone/teens with a reflective top on top. This way no sun directly/indirectly hits my plants. I say goodnight to all my babies/teens and when the light comes on in the morning I talk to them and pray for the m to do what God created them to do. I also leave nice soothing music playing for them in the bedroom. It would appear I was a little premature. After watching your video numerous times I can now see that what I thought were nut sacks were actually small pods that the pistiles emerge from. I kept the plants in a wet plastic bag and now soaking them over night in filtered water. There are still a few roots on the base of each stem, so Tomorrow I will put them back into the ez cloner with rooting solution to see if I can grow some more roots and put them back into the buckets. Another great video and an interesting learning situation. I mentioned on another post that I am growing 10 Grandady Purple. I only had room in the veg room for six and put four outside in my greenhouse. they started to flower two weeks ago. Yesterday on all four plants I also saw what looks like Nut Sacks starting at all the nodes on the main stalk. I got concerned and pulled them and discarded them. Can this variety or any others both flower and grow male nut sack at the same time? Just wondering i asked earlyer about growing indoors for 3 months and then putting outside for the season. well question 2 is can they handle a week frost or two or is it not worth the risk. For my flower room. I have outside air coming in and going through my lights and exhausted to the outside. I have a small window air conditioner set to Econo mode. I do not have fresh air being brought into the flower room. Should I use a “T” duct to let some of that fresh air coming for the lights also go into the room itself. I also need to coordinate using my large can filter to start removing the sweet smell as the buds grow larger. I also have Co2 in the flower room on a timer. How do I coordinate all this so my lights get cooling air, the Co2 working, fresh air into the room and being exhausted, and using the can filter? Ok, next monday is the end of week four in flowering stage. I will switch the bulb to the 400w HPS, and go back to my HPS ballast. I have to look at it to see if it will work with the 400w HPS. I used to have 1000w hPS lights in it but cannot afford the electricity for that much light for awhile. Thanks for the great growing help. Thanks, I am going to try that for three months in the veg room under the 250W MH lights you recommended and then put them outside. My outside greenhouse is under a portable carport frame with 6mil opaque plastic over it. I have a table three feet off the ground with ten 3.5gallon ebb and flow buckets with net pot baskets. It is fed from a thirty gallon barrel into a controller brain which feeds and drains the buckets. I also have an Aquaponic system on my back patio. I am using an old jacuzzi with some gold fish in it for now. Right now I only have vegetables and tomato’s in it. When I get everything stabilized I will put one or two MJ plants into one of the buckets to see how it does on fish poop, just for fun. Dizzle, are you and “ME” talking about three months under veg lights and then putting them outside to get huge? u need to start them the way i show u in the video. once they pop u can use it.. i show u in the video!! u should always vent the air out! One more item on the Generator use. Make sure it does not exhaust into the basement. Have a very quiet muffler installed and exhaust it some place that will not be directed anywhere a neighbors house to eliminate the noise and exhaust smell. I have mine exhausted into a shed next to my grow room. Nice extra feature is that the exhaust kills the Termites in the shed. I have a six thousand watt generator that I keep as a backup in case my power goes out, which only happens very infrequently. But if you remember the blackout loss of power we had in Southern California a few months ago, it would have been disaster for my veg and flower room. I have my generator in a shed next to my Greenhouse and a 220Volt Dryer outlet below my breaker panel. When my power went out I shut off the main breaker bringing power into my panel and plugged in my generator to the dryer outlet on the wall and fired up my generator. At the time I had two 1000w HPS lights in the flower room and my usuall lights, pumps and fan in the veg room. I ran it for twelve hours and the timer cut off the lights in the flower room. I kept the generator running till the power came back on. My generator handled the load perfectly. For future needs I am looking on Craigslist for a 6ooow Diesel generator, which will be more economical. If you are going to use a generator to keep from using a large noticable amount of grid power you may want to also consider using a combination of Solar/Battery/Inverter for the small Power needs and a diesel generator only for the high power use in the flower room, and have a backup generator in case the first one takes a dump. I am a big promotor of solar panel systems and you could do either an “Off Grid” system for your greenhouse, or a net Metering system like I have at present. I am working up a plan to go off grid completely for my greenhouse in the future. Big spikes and usage will alert the power company to something going on. I will post more later on my Solar/Generator operation. 400 MH is not good for flowering as the plants need the red and orange spectrums that come from HPS lights.. 400w will produce smaller size buds. i do it all the time.. they will get huge outside!! I am on fixed income with my VA Disability Retirement Pay and cannot afford the 1000W HPS lights I used before. Each one costs me about two hundred dollars to run it for 12 hours a a day in the Off Peak hours at night, and this is even with my 16 solar panels working on Net Metering. I got a 400w MH light and just put nine plants into flower. Do you think I will have decent harvest from this light? I will see how this does on this run. If not so good do you think a 400w HPS lignt would do better next time? Thanks. not enough light!!!! a tube will not be sufficient enough for vegetative growth, it will only work to root the clones. try a 250w MH with a Hortiulux Blue Bulb. Thats what i use and LOVE them!! get them bigger and healthier, then flower them. I am using an easy cloner. Got a good batch of clones with lots of nice roots. I transplanted them into the net pot baskets in the Frontier 3.5 gallon buckets. I had Gen Hydroponics nutrients in the resivoir Micro, grow. The clones have been ther for just over two months and have not gotten much more taller than 9″. I am using the Frontier Resivor and their Controller brain feeding twelve 3.5 gallon bucketss with Hydrotron grow medium in net pot baskets.My veg light is a 8 tube florescent Grow light. Any ideas what I did wrong with the clones and is it possible to make them grow bigger so I can flower them? Hey dizzle, I just have some general questions about how to further improve my already existing garden. I have four grow cycles under my belt and im starting to take strides in harvest quality. Right now im currently using a space of about 4x4x5 using a single 600w hps, with reflective mylar walls and flooring. using techniflora’s line of nutes with a peat moss hydromix as substrate…everything is done precisely and there are absolutely no issues with pests or mold and climate control…so my question is, how much improvement can I reasonably expect by introducing co2 enrichment? how much electricity will u be using?? u need to do the math and figure out everything you will be using, then find the wattage it uses. then u will know how much electricity u need. Do u have enough free space in your main panel for a sub?? Can you direct me on all materials and sub-panel needed for a 6×9 flower and 3×5 veg room setup in my basement? I will be growing with soil (organic). So I am not spending money on items I won’t need or use. I have framed out the space already. Any help would be greatly appreciated. Hey John, Need help from HVAC technician or experienced grower. Need advise how to set up venting on a perpetual multi room system. Main room is 10×10. Splitting in half to makes two 5×10’s. split one 5×10 in half makes two 5×5 veg/flower closets leaving one 5×10 mom/clone/work area. I desire to have the option to either intake from outside air or basement air depending on outside temps. Would be nice to also be able to shut venting off and create closed system as well (JIC). Both 5×5 veg/flow closets will have Co2, carbon filters on fans for exhaust. The 5×10 mom/clone/work area will have no Co2 enrichment. All rooms will be lite exclusively with LED lamps (800watts in each 5×5 and 180 watts in 5×10). Environmental controllers will run the show. My problem is the garden has not been run yet and am not sure if LED will bring temps over 85 in 5×5’s. if so exhaust fans may come on and waste Co2 enrichment. Closed rooms with ac/heat has been advised but this type setup does not allow for fresh air intake. Any advise welcome. that small of a space…the light should be enough. if not, you will notice long, skinny growth. if this occurs, step up to a 400wHPS for bloom. the 200w for veg will be adequate. hey, this will be my first grow, do you think my little set up will work or what should i add….what you think of this……. my maine think idk about is is the light gonna be enough for my space? Can you send me a private email, so I can get in contact with you, thank you. 3000 sq ft will be plenty for 500 total plants. figure youll have that split up by clones, moms and buds.. you should have 250 clones and 250 buds at a time.. then however many moms you want. you could squeeze this all into a 3000sq ft space which would still allow you to have “move around” room, room for supplies, etc etc….. as far as my charge, in these cases i usually charge $500 flat fee which covers blueprints, elect costs, and everything all the way down to exactly how many nutes you will need. How can I contact you to discuss this, and for your service, what is the charge approx. If you don’t want to say what your charge is I guess you can send me an email at: (where they ask us to put our email address) Do you have my email addy? The total plants that I’m allowed to have legally are approx 500 plants in total. What i’m asking you is: What is the ideal space to be able to move around comfortably and also be able to expand up to 1000 plants. But if you have to charge that would be great. Can you at least give me an estimate of how much this might cost since you know the square feet, and the amount of plants I’d use? If you don’t have my email, I’ll reply to this message, or you can give me a private email to speak to you. I tried the email that you said to “contact us from before” and No one replied to any of my inquires, so yeah give me one. if you want me to give you an exact cost/breakdown, i would have to charge $$ as it takes time…… 1st, figure how big your plants are going to be, then that will start the discussion of how many plants can fit under 1 light. and how much square footage it will take.. for me to breakdown your nutes, electricity, fans etc etc… i would need to see a layout of your grow room. I would also need to know your zip code to give u exact costs on electricity. depending on the strain, and the length of time they take to grow and bloom, will determine how many nutes it will take… see where im going? its not as easy as some think…. and are you doing 500 plants? or 500 veg and 500 bloom? sea of green? the $7000 is for the basement grow in the videos… the warehouse is well over $100k.!! r u doing hydro or soil? What would be the best set up for a 500-1000 plant grow op in a ware house setting. I think you said your set up was $7000 for 12,000 plants If i’m not mistaken and also you use 25 sq ft, So i’m thinking for mine about 2000-3000. How many rooms would be ideal to veg, about 5-8 strains. I know that some plants perform better in different temperatures,ect. Have any blue prints lying around? either way is fine… i personally run my duct from the window into the room about 4 feet or so then connect to intake fan.. this helps keep fan noise down near the window..;) but either way u do it will work just fine! I hope u will help I’ve just build my grow room (7×5) with a 7ft. Ceiling and am about to set up my 2 600 watts lights blaister, 2 fans 1-8″ for the exhaust and a 6″ for the filter my Q: is should I just have my ductwork coming from the window for air or am I placing the 6″ fan in the widow first if so how or where should I place my filter. Pls help I’m stump here. equal is good.. i always have used the larger cfm to exhaust. (can fan blower)… its not a big issue otherwise.. i know people out there say theres some crazy science equation to it but as long as you are bringing fresh air in and exhausting old air out, u r ok! hi dizzle real quick, for the inline fans vent in and vent out, should they be equal cfm”s if not which should be higher or lower. thanks..
first sign of mites….or u can start anytime after clone stage… ive actually just finished a private study using it on clones and it worked well and didnt hurt the plant..
more light the merrier!!!! dipping plants works ok, i prefer to use Azamax to spray and to use in the water reservoir for weekly flooding. doing a total disinfecting of the room, not starting for at least another 3 weeks, time to reset up room and make sure all mites and eggs are a thing if the past, i have read about dipping prior to putting in flower room and preventative spraying, thinking on going that route this time, don’t want any problems with those ever again. what do you think about the addition of another light? Still only going with 12 ladies, economically speaking not sure if light mover or another light would be more beneficial. thanks diz for your input, I greatly appreciate your advice and blogs in here. i only use Hortilux Blue for vegetative growth . then use 1000w super hps for bloom stage. once you get mites, its very very hard to get rid of them.. high levels of co2 will help keep the mites away. too much co2 will burn the plants. hi i would love some help with my grow room in my basement, room is 12’6 x 8’10 7 ft ceiling, last grow started with clones (12), transfered directly into 5 gal pots , using 1000w hortilux super blue all the way through to harvest. had issue with spider mites, ventilation, temp lol you name it, with that said you can be sure yeild was very low. have 2 small windows in the room 10″x31″. hood is xtra sun 20×20 6″ both ends, have hv inline fan 6″ 424 cfm, have charcoal scrubber, didn’t use it properly so odor was still a problem, have 16 ” wall mount oscillating fan, also have 16″ stand up oscillating fan. I was thinking about another 1000w hps for next grow? will send pics later tonight, also considering co2 for the next flowering. thanks in advance for any help you can give me. its all based on the co-op (dispensary/doctor/gower)… we have over 2000 patients we are growing for in just that 1 warehouse. we are allotted so many plants per patient, which in this case is 6.. so 6×2000 (patients) = 12,000 plants. which then requires a lot of square footage to house them all. So I’m in Cali so I am not familiar with the CO laws..how is it that they can have a 25k sqft warehouse operation? I would build you one, although my schedule is so busy at this time the wait would be close to 6 months. The set up you see in my pics is a fairly basic setup, somewhere near $7000.00 worth of equipment/supplies. Those are custom hoods with 2-1000 w HPS bulbs under each hood. super bright and powerful! in your case, ,A Dog works best! HELLO, THIS IS JOYCE LOPEZ, I AM A MEDICAL CANNABIS PATIENT. I AM TRYING TO GET A PRODUCTION LICENSE TO GROW MY OWN PLANTS IT’S TOO EXPENSIVE TO BUY SO I WANT TO GROW IT IT’LL BE BETTER FOR ME,BUT IN ORDER TO GET APPROVED I NEED TO WRITE A GOOD SECURITY THAT WILL PROTECT MYSELF,AND MY GROW ROOM,BUT I DON’T KNOW WHAT SECURITY WOULD BE BEST TO USE, SOMETHING THAT CAN’T ALARM COPS,OR SINCE I’M LEGAL TO SMOKE, AND HAVE IT IN MY HOME DO YOU KNOW IF I CAN USE MONITOR SYSTEMS, AND SURVAILLANCE CAMERAS,OR HOUSE ALARMS. MY GROW ROOM IS LOCATED IN MY BASEMENT,WITH NO WINDOWS. I DON’T KNOW ANYONE DOWN HERE IN ALBUQUERQUE,NM,BUT WHAT GOOD SECURITY TO USE I’VE BEEN SEARCHING FOR GOOD SECURITY BUT ALL SEEM TO LEAD TO COPS. CAN YOU PLEASE HELP ME WITH THIS QUESTION. I WOULD REALLY APPRECIATE YOU. THANK YOU FOR YOUR TIME. PLEASE EMAIL ME BACK . So, what type of lights are those in the 25,000 sq ft medical grow warehouse (Denver, CO) that has 25 plants to each light? Because, I’m trying to get a medical grow warehouse too, and I’m still looking for equipment and especially the right types of lights for my grow room! Well, please let me know if anybody knows. Much respect to ya.